Hello! I have another card to share that I made using supplies from the PaperWorks Co. August PaperCard Kit. 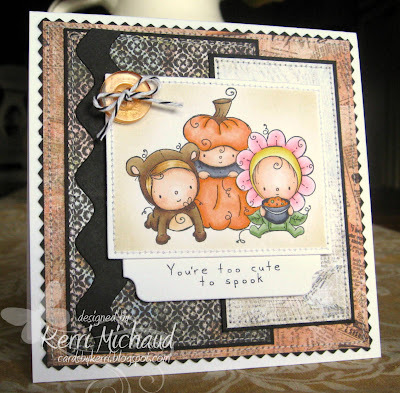 This time I pulled out some orange, black, and white dp and made a cute little halloween card:) This adorable image is by Rachelle Anne Miller called The Pumpkin Patch. I added a border around the dp that I cut with some pinking shears which seems to be popular right now. The button comes with the kit, and I added some baker's twine from my stash. Well, my kids started school today and I thought I'd share a couple of pics that I took this morning. It's nice to have only one child home with me~there is a lot less fighting LOL! Have a wonderful Monday and thank you so much for stopping by! What a super sweet card, just so cute! Wonderful pictures of your school bound kiddos too! Super cute card!!! Love that image! What a goegrous card Kerri, I love the cute image. And your kids looks adorable. Eeeeeeeeeeek! So completely adorable! 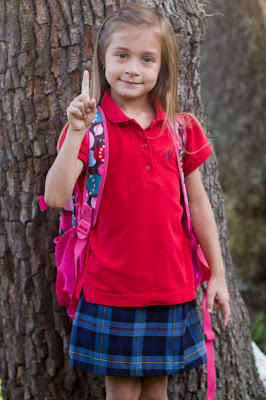 Actually, that applies to the precious card as well as these irresistible 1st day photos! Avery looks as though she's eager to begin First Grade! Lovely card as well, love the cute image combined with more subtle papers! 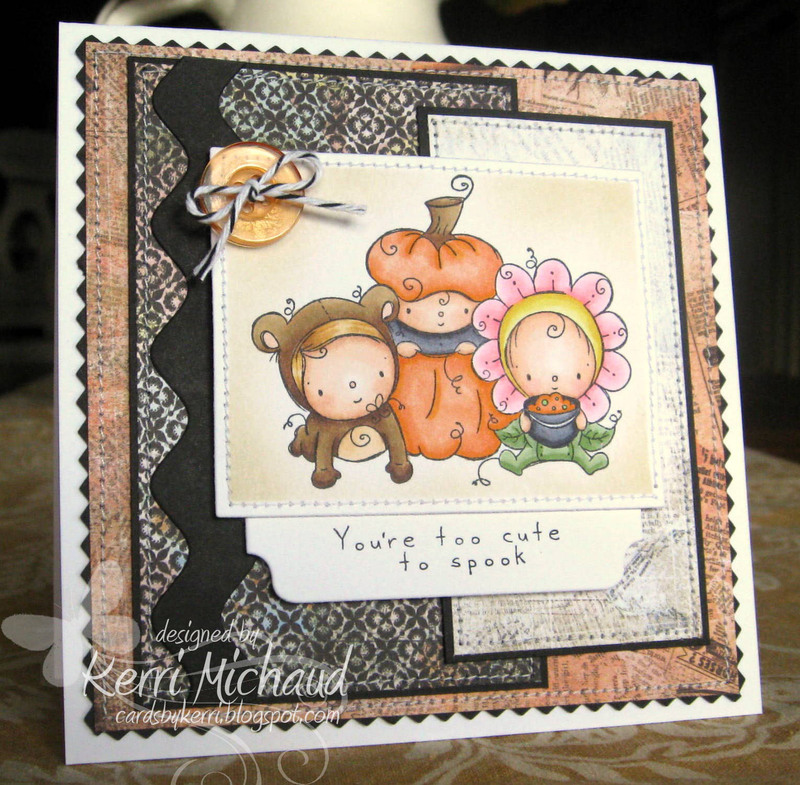 Kerri your card is wonderfully cute as well as your children! Love the card but your kids steal the show. 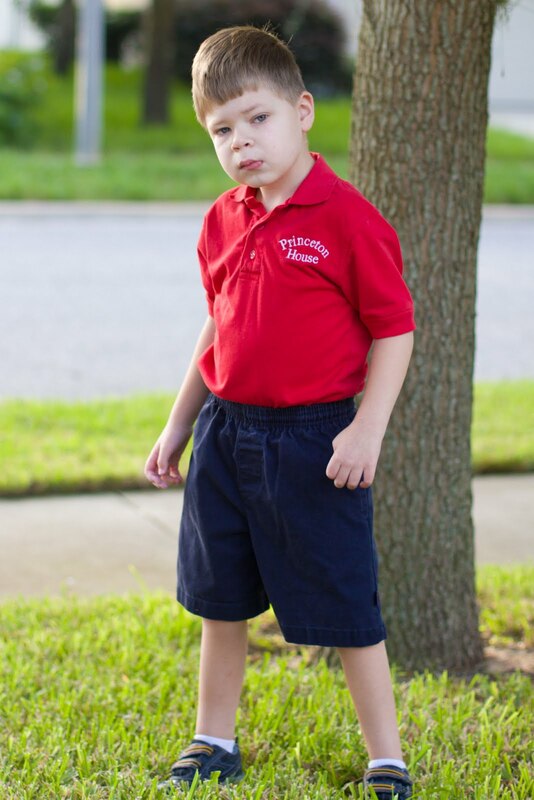 My baby, the one I *just* had and am still carrying pregnancy weight from, is a 2nd grader this year. Ugh. where does the time go? I love when they come home from school because the house is so empty without them. Those little pumpkin kids are so cute. AWWW More darling photos and your card is sooo super cute, OMG that image is too precious!!!!!! My kiddos are back in school I will have more time to stop by and visit, soooo miss visiting you :) Have a great weekend!